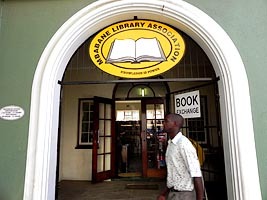 The Book Exchange, operated by the Mbabane Library Association is a project designed to make an assortment of books affordably available to a broad range of people in Swaziland. We have been doing this by running a book exchange where anyone can exchange a book for a token fee of E2.00 (approx US 20c). The project started in January 2008 and has been very successful, but it relies on us obtaining new stock on a fairly regular basis. June 2016: Unfortunately the shipment we were hoping to arrange in 2015 had to be postponed. We were hoping to arrange a shipment of books from Books for Africa. It is possible that we will be able to put together another shipment of books contributed by La Porte Ouverte this year, to be shipped in late August or early September. If you would like to support our project, our target is to be able to ship two to four pallets of books, at an estimated cost of about $1200 per pallet. December 2014: The shipment of books has arrived safely in Swaziland. October 2014: Our latest shipment of books, primarily donated by La Porte Ouverte, is now en route to Swaziland from Montreal. July 2014: We now have a new source for books, Books for Africa, based in Atlanta, Georgia, who can provide us with quantities of books varying from one pallet (750 - 1000 books) to a 40 foot container load. The costs involved for this would be US$200 loading fee per pallet plus the shipping costs from the USA to Swaziland. This means that in addition to a shipment from Montreal which will include books donated by La Porte Ouverte in St Jean, Quebec, we might be able to arrange a second shipment from Books for Africa. June 2014: Although we didn't manage to arrange a shipment of books last year, the book exchange is doing well, with lots of regular customers. We are, however, hoping to arrange another shipment of books from Canada again this year, to be shipped in August/September. December 2012: The shipment has safely arrived in Swaziland. Special thanks to all of you who contributed to the costs, and to David and Dickie for handling the shipment transport and clearances. September 2012: This year's shipment is ready to be sent from Montreal. Special thanks to La Porte Ouverte for donating books, and to those who have donated towards the shipping costs. January 2012. The latest shipment of 1832 books has arrived in Swaziland, this time with far fewer problems clearing into the customs union. Thanks again to all of you who made this shipment possible. July 2011. 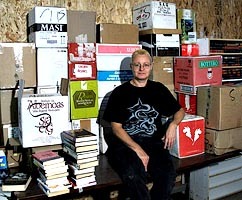 We have already been donated a number of boxes of books for the next shipment, from both The Booktique and Porte Ouverte. It is hoped to have these ready to ship in late August or early September. December 2010. The shipment finally arrived in Swaziland, after a few hiccups with clearing agents and South African customs. September 2010. The latest shipment of 2900 books is on its way from Montreal, due to arrive in Swaziland in early November. Thanks to everyone who contributed towards this. August 2010. We have a number of boxes of books ready for shipping, and are expecting more from both La Booktique and La Porte Ouverte (www.laporteouverte.info). The aim is to send this shipment, which we are expecting to be about 40 to 50 boxes of books, in early September. March, 2010. The shipment of books arrived safely in Swaziland in December, and the response to the new stock has been excellent. 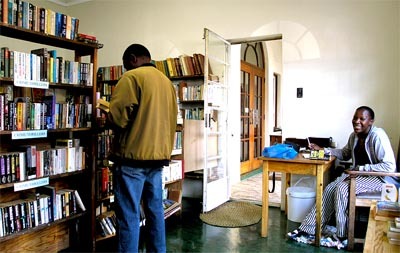 In February, the Book Exchange has also donated 100 books from old stock to the Mbabane Government Hospital, to be made available to hospital patients. September, 2009. 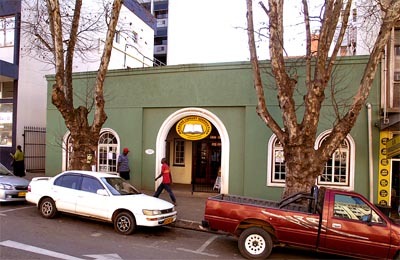 A shipment of 1913 books is now on its way to Swaziland. Thanks to all of you who contributed towards the shipping costs! We have an additional 15 boxes of books ready for the next shipment. March, 2009. The new stock of books has been very well received, with a high turnover of books since December last year. We now have three possible sources of books, in the USA and Canada, and are hoping to raise sufficient funds to arrange another shipment. December, 2008. 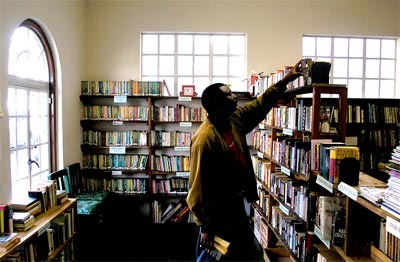 The shipment of books donated by the Booktique has arrived safely in Swaziland. Many thanks to private individuals who contributed towards the shipping costs, as well as to DHL Swaziland who assisted with transport of the shipment from Durban at cost. 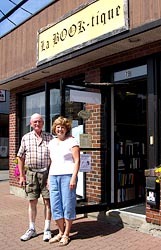 In July 2008, La Book-tique in Pointe Claire, Quebec, kindly donated a number of books, so now we are looking for donations towards the cost of shipping these books to Swaziland.